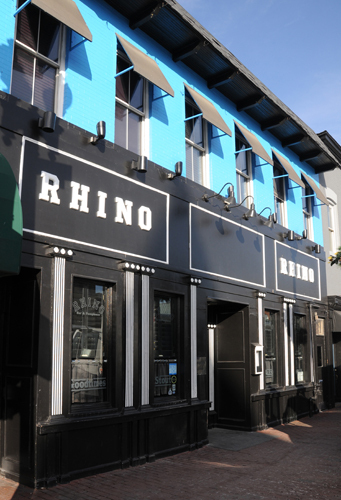 Rhino Bar and Pumphouse, one of Georgetown’s last remaining college dive bars, recently had its liquor license suspended for five days for selling beer to an underage Georgetown University student in February 2013. [7/20 UPDATE: Rhino Bar has appealed the decision, so the suspension is on hold] The Red Sox M Street bro (top 4 in country according to one publication) sports bar will be shuttered Tuesday, July 8th through Saturday, July 12th to serve its punishment. D.C.’s Alcohol and Beverage Control Board’s ruling is worth the read, but we’ve summarized the tale, which includes bouncer whispering, a locked back door, a claimed case of mistaken beer identity, and women’s lacrosse. Fun fact from that ruling-in DC you can be arrested for presenting a fake ID to get into a bar, but you can only get a ticket for being underage and drinking in a bar. On the night of the incident, a DC police officer was stationed at the bar’s entrance as part of the “Cops in Shops” program to help identify and arrest kids using fake IDs to get into bars like Rhino Bar. Two girls bypassed the 20-30 people in line and went straight to the bouncer, who whispered to them; the girls immediately hightailed it down M Street. 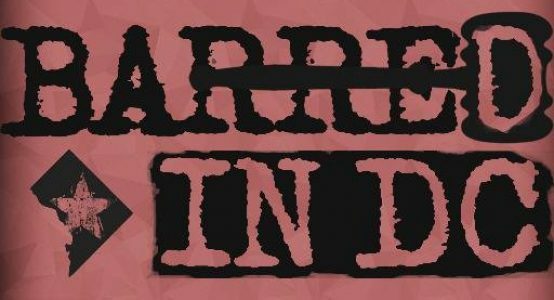 The cop caught up with them and they admitted that the bouncer warned them not to enter the bar (one had a fake ID and the other had been arrested by the same cop a couple years before for having a fake). The women told the officer that Rhino Bar had let them into the bar before without ID and that most of the kids in the bar were underage. The officer followed up by entering the establishment and approached two other young women who were drinking; one of them, a member of the Georgetown women’s lacrosse team, didn’t have ID and admitted she was 19. She was drinking a Bud Light according to the police officer–a fact that ended up being the crux of Rhino Bar’s defense. Charles Swann, Rhino Bar’s owner, claimed that Rhino Bar only sold Miller Lite at the time of the incident and that the underage woman must have “jiggered the lock on the back door and entered the kitchen with the beer in hand.” In fact, Rhino Bar’s general manager conducted his own gumshoe work, identified the supposed underage drinker walking down the street, and got the frequent patron to sign an unsworn/undated statement that she did in fact get into the bar through the back door with a beer. The scenario described by [Rhino Bar] concerning the minor’s efforts to enter through a locked door with a beer in her hand stretches credibility … [and] is based solely on his presentation of handwritten undated and unsworn statement by an individual who was not the one identified [by the officer], and accordingly, not related to the violation at issue. In any event, [Rhino Bar] would be liable for underage drinking its establishment regardless of how the patron entered the establishment. [Rhino Bar] also argues that there is insufficient evidence to show that the establishment served the minor in question because they don’t carry certain beer products. The Board disagrees. Unless [Rhino Bar] routinely allows patrons to enter its premises with open containers of alcohol, the underage female patron caught with an alcoholic beverage had no other source of alcohol other than the establishment. Luckily for Rhino Bar, a divided Board did not uphold the charge that it failed to take steps reasonably necessary to ascertain the legal drinking age of a minor. Interestingly, the Board said the “mere presence of a minor in presence of an alcoholic beverage inside the establishment [was] not sufficient evidence” to substantiate this charge. Still, because the Board found that it sold booze to an underage patron for the 2nd time within two years, it fined the bar $3,000 and suspended its liquor license for five days, a heavy hit to bros and DC Red Sox fans everywhere. This reads like a Law and Order: Underage Drinking episode. Nicely summed up.